Each nationality tries to keep its importance and separateness from other Nations. This can be said about such a proud people as the Armenians. Today a large number of them live in Russia. They retain their language, culture and dances. Many Russian people love Armenian dancing for their expressiveness and emotionality. In order to learn the Armenian dances, you need to find like-minded people. Armenian dances mostly collective, so it's best to gather a group. Also in the team is easier to learn by watching the successes and mistakes of each other. The pace of Armenian dances is heterogeneous: it is not fast as, for example, the Tatar dances; but not as smooth and slow as Bashkirs. Armenian dance at first leisurely and slow, gradually accelerating the tempo and gets faster and faster. Therefore, in order to perform such a dance, you need to be able to adjust both temp. 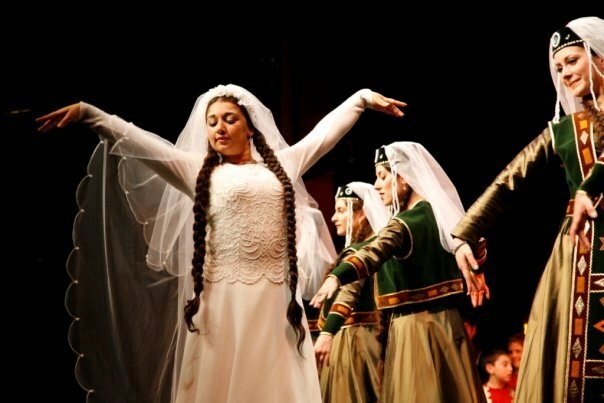 In any Armenian dance is the head, the so-called "paralog". In your group select the most handsome and presentable man. Also good plastic, it should have a pleasant and clear voice. There are certain difficulties in mastering the science of the Armenian dance: body body should be in a vertical position; in the Armenian dance has almost no tilt, and if they do exist, they need to make all body. It is also important to ensure that the whole body was moving in one direction, it is impossible to move only the hips and pelvis separately from the upper torso. Most popular Armenian dance – Kochari, it always danced before the battle. In order to learn this dance, warriors, all members of the group should stand in a circle, putting arms around each other's shoulders. Then start to move in a circle with some him never happened, from time to time, you need to sharply change direction. Sometimes narrow and broaden the circle, doing lunges back and forth. The vital role of the facilitator should inform the group about the change of dance figures, waving scarf or dagger. While dancing, you should also use the arms and legs, making them alternate strokes. As mentioned above, during the Armenian dance movement rate is constantly changing. When it should be done, you learn from the music, its tempo.